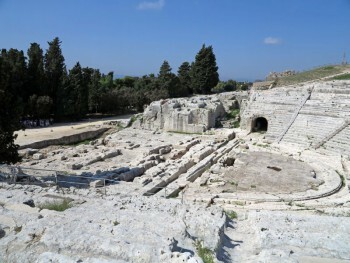 Syracuse was founded in 734 or 733 BC by Greek settlers from Corinth and Tenea, led by the oecist (colonizer) Archias. 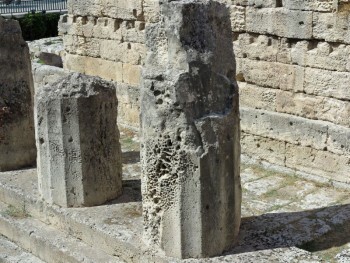 There are many attested variants of the name of the city including Συράκουσαι Syrakousai, Συράκοσαι Syrakosai and Συρακώ Syrako. A possible origin of the city’s name was given by Vibius Sequester citing first Stephanus Byzantius in that there was a Syracusian marsh (λίμνη) called Syrako and secondly Marcian’s Periegesis wherein Archias gave the city the name of a nearby marsh; hence one gets Syrako (and thereby Syrakousai and other variants) for the name of Syracuse, a name also attested by Epicharmus. 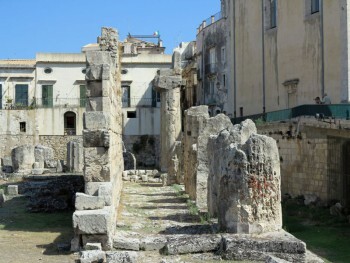 The nucleus of the ancient city was the small island of Ortygia. The settlers found the land fertile and the native tribes to be reasonably well-disposed to their presence. The city grew and prospered, and for some time stood as the most powerful Greek city anywhere in the Mediterranean. Colonies were founded at Akrai (664 BC), Kasmenai (643 BC), Akrillai (7th century BC), Helorus (7th century BC) and Kamarina (598 BC). Syracuse grew considerably during this time. Its walls encircled 120 hectares (300 acres) in the fifth century, but as early as the 470’s BC the inhabitants started building outside the walls. 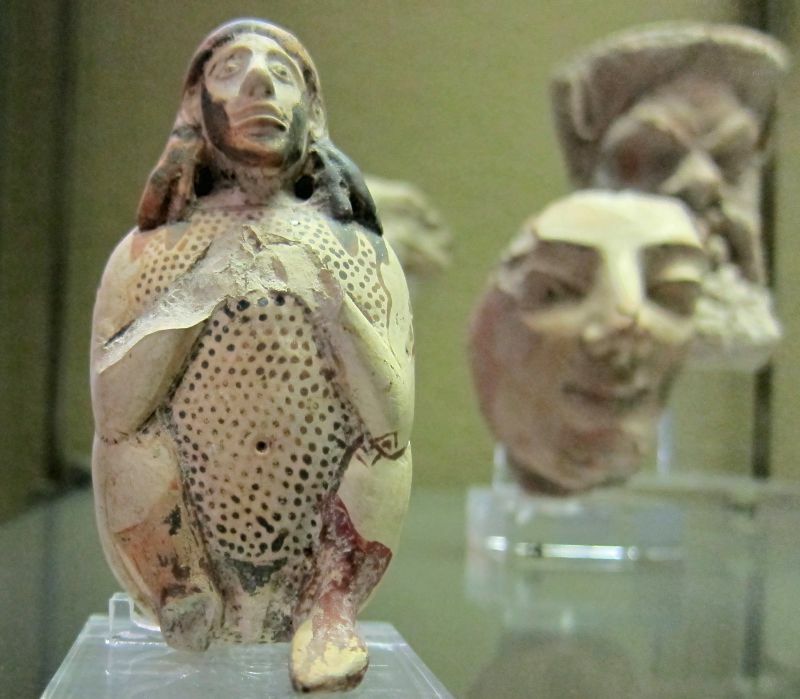 The complete population of its territory approximately numbered 250,000 in 415 BC and the population size of the city itself was probably similar to Athens. Gelo was succeeded by his brother Hiero, who fought against the Etruscans at Cumae in 474 BC. His rule was eulogized by poets like Simonides of Ceos, Bacchylides and Pindar, who visited his court. A democratic regime was introduced by Thrasybulos (467 BC). The city continued to expand in Sicily, fighting against the rebellious Siculi, and on the Tyrrhenian Sea, making expeditions up to Corsica and Elba. 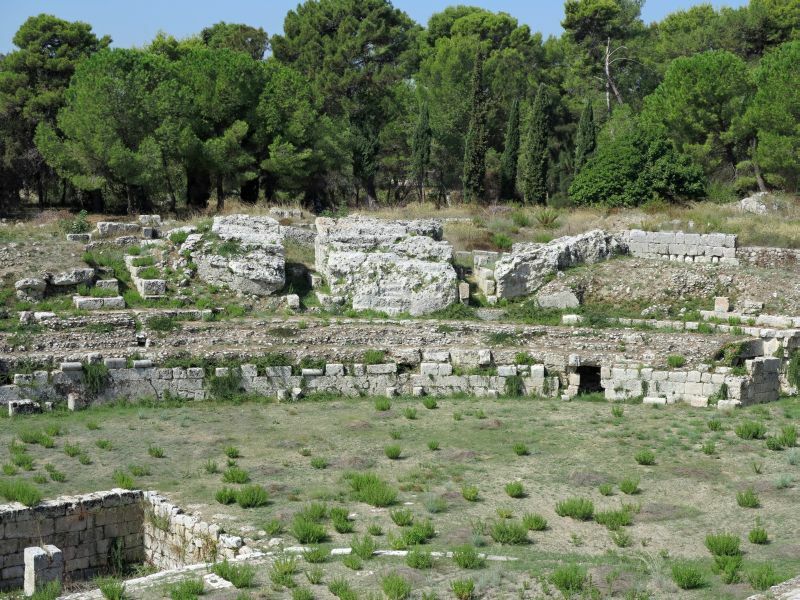 In the late 5th century BC, Syracuse found itself at war with Athens, which sought more resources to fight the Peloponnesian War. The Syracusans enlisted the aid of a general from Sparta, Athens’ foe in the war, to defeat the Athenians, destroy their ships, and leave them to starve on the island (see Sicilian Expedition). In 401 BC, Syracuse contributed a force of 3,000 hoplites and a general to Cyrus the Younger’s Army of the Ten Thousand. His successor was Dionysius the Younger, who was however expelled by Dion in 356 BC. But the latter’s despotic rule led in turn to his expulsion, and Dionysius reclaimed his throne in 347 BC. 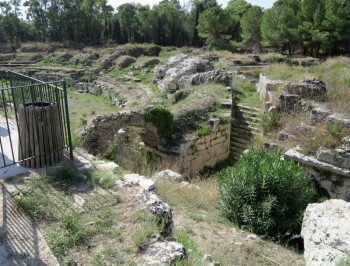 Dionysius was besieged in Syracuse by the Syracusan general Hicetas in 344 BC. The following year the Corinthian Timoleon installed a democratic regime in the city after he exiled Dionysius and defeated Hicetas. The long series of internal struggles had weakened Syracuse’s power on the island, and Timoleon tried to remedy this, defeating the Carthaginians in the Battle of the Crimissus (339 BC). After Timoleon’s death the struggle among the city’s parties restarted and ended with the rise of another tyrant, Agathocles, who seized power with a coup in 317 BC. He resumed the war against Carthage, with alternate fortunes. He was besieged in Syracuse by the Carthaginians in 311 BC, but he escaped from the city with a small fleet. He scored a moral success, bringing the war to the Carthaginians’ native African soil, inflicting heavy losses to the enemy. The defenders of Syracuse destroyed the Carthaginian army which besieged them. However, Agathocles was eventually defeated in Africa as well. The war ended with another treaty of peace which did not prevent the Carthaginians from interfering in the politics of Syracuse after the death of Agathocles (289 BC). They laid siege to Syracuse for the fourth and last time in 278 BC. They retreated at the arrival of king Pyrrhus of Epirus, whom Syracuse had asked for help. 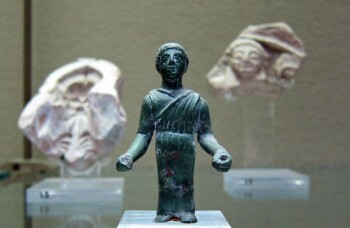 After a brief period under the rule of Epirus, Hiero II seized power in 275 BC. Hiero inaugurated a period of 50 years of peace and prosperity, in which Syracuse became one of the most renowned capitals of Antiquity. 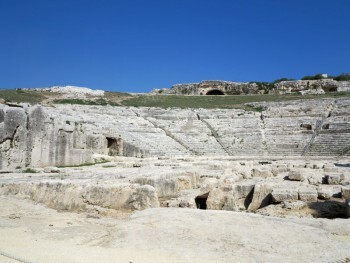 He issued the so-called Lex Hieronica, which was later adopted by the Romans for their administration of Sicily; he also had the theatre enlarged and a new immense altar, the “Hiero’s Ara”, built. Under his rule lived the most famous Syracusan, the mathematician and natural philosopher Archimedes. Among his many inventions were various military engines including the claw of Archimedes, later used to resist the Roman siege of 214 BC–212 BC. Literary figures included Theocritus and others. Hiero’s successor, the young Hieronymus (ruled from 215 BC), broke the alliance with the Romans after their defeat at the Battle of Cannae and accepted Carthage’s support. The Romans, led by consul Marcus Claudius Marcellus, besieged the city in 214 BC. The city held out for three years, but fell in 212 BC. The successes of the Syracusians in repelling the Roman siege had made them overconfident. In 212 BC, the Romans received information that the city’s inhabitants were to participate in the annual festival to their goddess Artemis. A small party of Roman soldiers approached the city under the cover of night and managed to scale the walls to get into the outer city and with reinforcements soon took control, killing Archimedes in the process, but the main fortress remained firm. 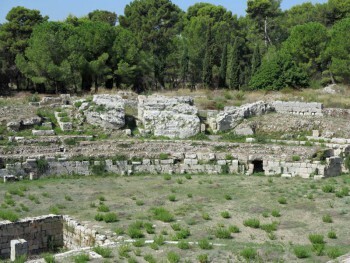 After an eight-month siege and with parleys in progress, an Iberian captain named Moeriscus is believed to have let the Romans in near the Fountains of Arethusa. On the agreed signal, during a diversionary attack, he opened the gate. After setting guards on the houses of the pro-Roman faction, Marcellus gave Syracuse to plunder. Though declining slowly through the years, Syracuse maintained the status of capital of the Roman government of Sicily and seat of the praetor. It remained an important port for trade between the Eastern and the Western parts of the Empire. After a period of Vandal rule, Syracuse and the island was recovered by Belisarius for the Byzantine Empire (31 December 535). 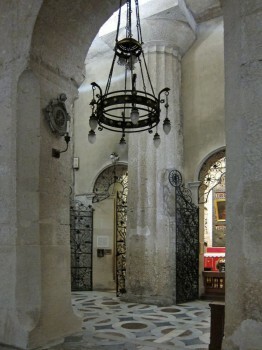 From 663 to 668 Syracuse was the seat of Emperor Constans II, as well as metropolis of the whole Sicilian Church.